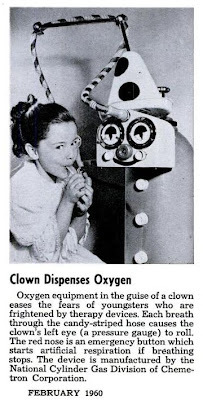 Putting a clown face on an oxygen cylinder is supposed to be less frightening for kids?! Although this is not really a formal ad, it does "advertise" a new invention. Plus, it involves clowns. Thanks again to Al, who certainly ain't clowning around with this one.